Central makes it easy to own a compressor for winterization. Central is a proud distributor of Rotair compressors, a product line ideally suited to the needs of the professional irrigation and landscape contractor. Rotair units boast easy starting even at low temperatures and minimal fuel consumption from the automatic and progressive acceleration of the engine speed according to the demand load. 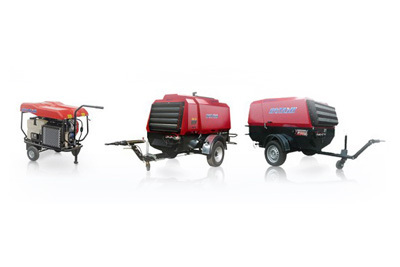 The skid-mounted Rotair VRK220 has a reliable Honda engine and fits easily into a standard pickup bed. It’s reliable and priced-right. Residential guys love this one. For more CFM, the towable MDVN compressors are equipped with reliable diesel engines. They’re great for larger projects including commercial sites and golf courses. With compressors from Central, you can have your best and most profitable winterization season ever!